United Industrial Sales was incorporated in 1959 by Russell Monroe, his sons Patrick and Joseph, and his son-in-law George Murphy. Together they built what has become a successful fourth generation family business. The last surviving original founder was Patrick Monroe. 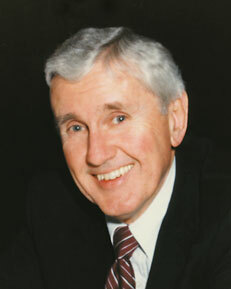 He passed away in 2009, the year of the company's 50th anniversary. Pat still came to work at age 84 because he enjoyed people. He thought of his customers as friends and liked to make sure they got the attention they deserved. We miss seeing him arrive in the morning--getting his coffee, looking for doughnuts, ready to go, and excited to be here. Those of us who learned this business from our grandfather, father, and uncles don't want to disappoint them. We keep the business growing by taking care of customers. United isn't big enough to ever forget that. United is a team of professionals with long experience delivering the level of service you expect. We work hard to make your job easier.